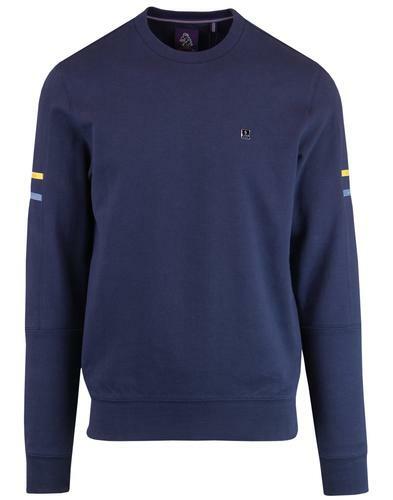 Lyle & Scott men's retro colour block sweatshirt in navy. The sublime vintage colour palette is inspired by classic 1980s casuals culture. The soft lemon chest stripe is complemented by a light blue shoulder panel and classic navy main body colour. 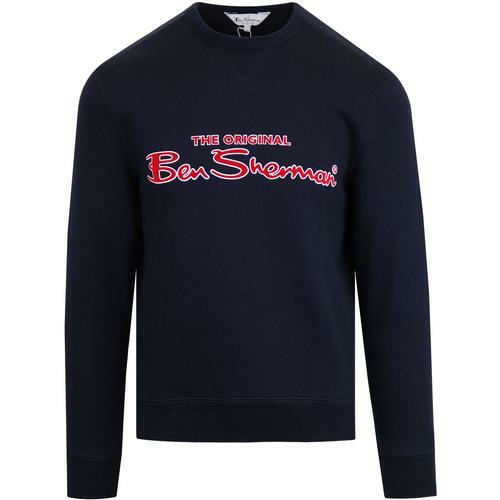 The Comfortable jersey sweat fabric means the jumper is great for layering and will keep you feeling and cosy and looking stylish on those cooler summer nights. 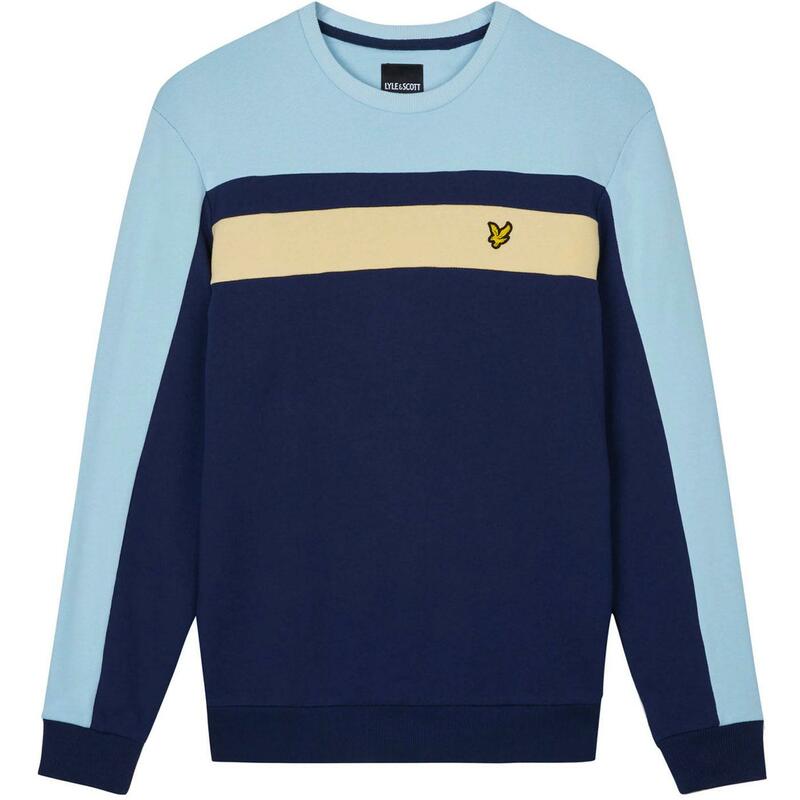 This Lyle & Scott colour block sweatshirt will add a cool indie edge to your casual indie ensemble. 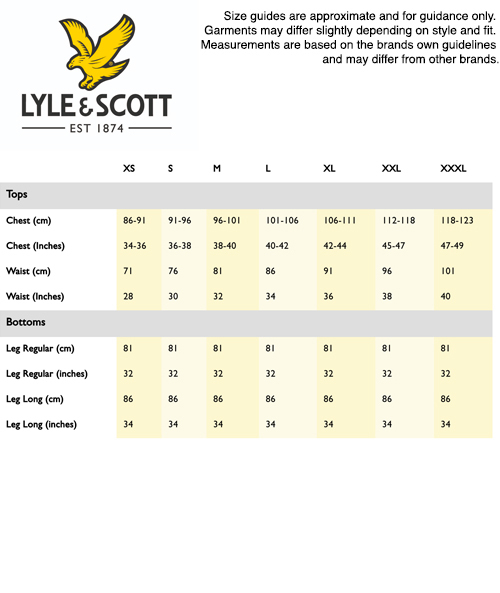 Finished with the Lyle & Scott golden eagle signature emblem to the chest. 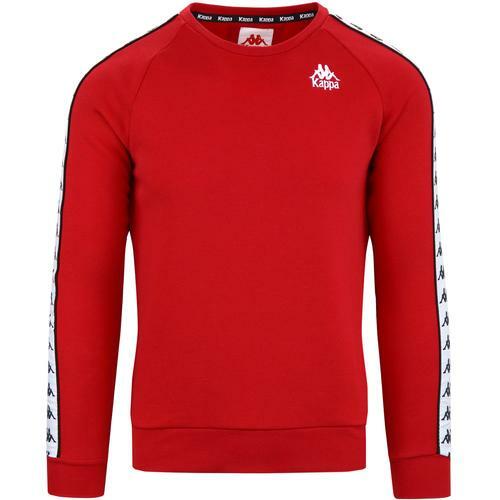 Lyle & Scott men's retro casuals colour block sweatshirt. 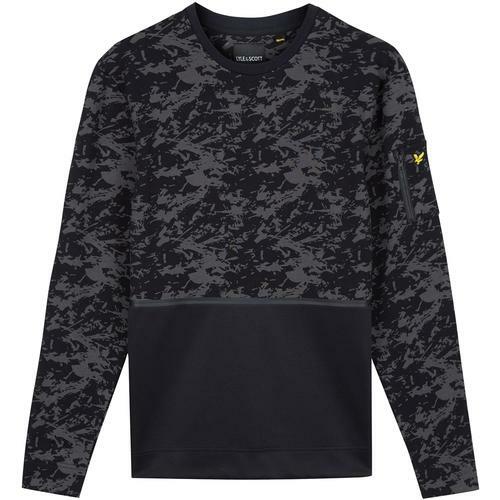 SKU: ML1021V Lyle & Scott Colour Block Sweatshirt.